Harmony ring symbolizes the essence of unity. The pave diamond band is meticulously handcrafted by our artisans in platinum for enduring purity and brilliance – a truly spectacular setting with intricately set round diamonds located along the top and sides of the band. 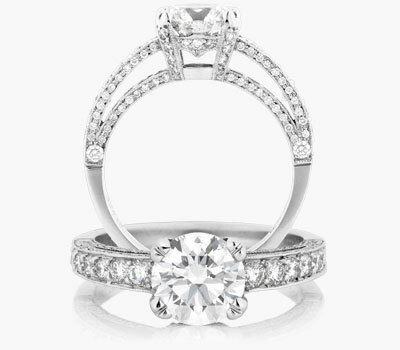 The Harmony Ring, named for the promise of your love, is available exclusively at Hamilton Jewelers.